It was a little over 3 years ago when I moved in with Daddy. You were his buddy. I still remember the first time I met you Zeus. I was scared of you, not because you were as gentle as a lamb and wouldn't hurt a fly. Unfortunately it was only because of the bad name that has been made for your kind. I remember that first night when dad left us alone. I reached out, grabbed your big head, held it in my hands and whispered to you, "You're not a mean dog, are you?" That's the first time you showed me the love inside of you. You leaned in, sniffed me and gave me a kiss. It was at that very moment you became a huge part of my life, my heart, you became my Zeus and I loved you too. Zeus, you may have been born with a sick heart in May 2005, but the pureness of love for everyone and everything in your heart is what made you so special. You had a short life of 5 years and 7 months to the day, and you were always loved. We did the very best we could in taking care of you. You always had love first, plenty of special food and treats, unfortunately pills for your heart and stomach, and 2 brothers from other mothers to play with and share the importance of love. I remember 2 years ago when we brought Mowgli home, my only fear wasn't if you would like him. I knew you'd love him. It wasn't if you two would get along, I knew you would be the best big brother he could ever have. My fear was that I didn't want you to feel I loved you any less. All we wanted was for you to have a friend, and you two didn't just become friends, you are brothers. I'm glad I called off of work that morning to take care of my sick kid. It takes a certain boss to be ok with that, one who knows how much my kids mean to me (my dogs are my kids, currently). I knew you were sick. We thought it was just your belly again, until I looked you in the eyes, and you let me know it was something serious. To hear Daddy call and give me the news it was your heart failing, all my fears came true, I often feared coming home from work to find you not with us anymore, and there it was all happening so fast, out of our control. You were hurting, sick and didn't want to worry us, because you love us. Zeus, if we could have taken parts of our hearts to make a healthy one for you, we would have. The day we had to say goodbye to you was one of the hardest in my life. Daddy too. I forget the pain, the emptiness, the tears, the longing for more time, longing for more days of lazing around, you being my snuggle buddy and just doing what we did best, LOVE. You were always there for me in good and bad times, to make sure I knew that you always loved me. You never let a tear hit the floor when you were on mom's tear drop patrol. Thank you for everything you have shown me and taught me, and for loving me Zeusy. I'm so proud of you for raising Mowgli the "right way," your big brother way, teaching him all the ways to be a "good dog" and most of all that LOVE is important. There's a lot of you I see in him. 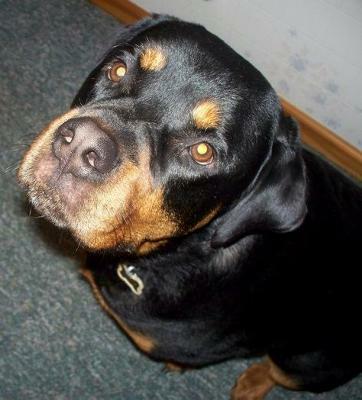 Zeus, thank you for being such a huge part of our life, loving us the way you did every day, unconditionally. The day you went to heaven, a piece of my heart went with you, and where that piece was taken from, my memories with you will forever remain. Thank you, Zeus, for being our angel, and watching over us every day, making sure we're all ok. We all will see you in time one day, and our family will be together again, happy and of course loving :) I know you wouldn't want it any other way, so till then pup .. Mom loves you, Daddy loves you, your brothers Brinx and Mowgli love you - your love is always in each of our hearts forever. Beautiful tribute to Zeus. I am sorry for your loss.